Don't get confused by energy lingo. 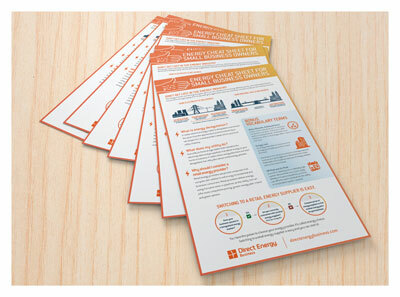 Download our free Energy Cheat Sheet! As a small business owner, you probably make decisions about energy for your business whether you’re familiar with the industry or not. But how do you interpret your electricity bill or shop for a natural gas provider when you don’t know the lingo or how the energy markets work? On average, how much do you spend on energy for your business per month? That's where our Energy Cheat Sheet comes in pretty handy. Our guide features only the most essential terminology and concepts to help you on your way. Print it or save it to your desktop so you'll have a quick reference as you navigate the world of energy.